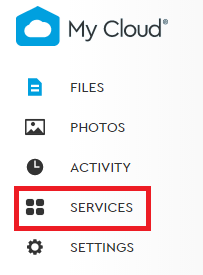 Through the MyCloud.com web app, click on the Services option on the left menu. 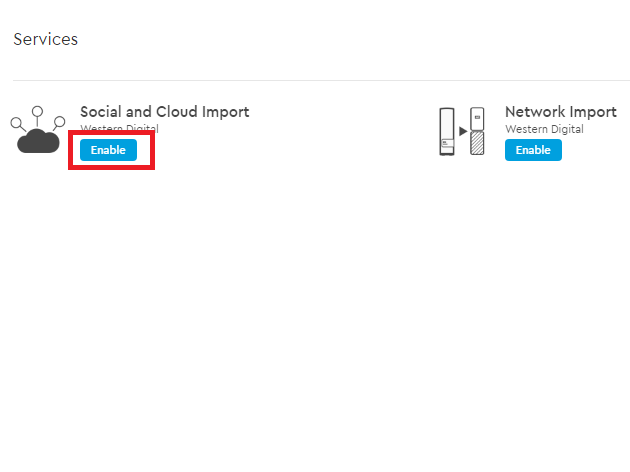 Under the Social and Cloud Import service, click on the Configure button. The Cloud Sync page will open. 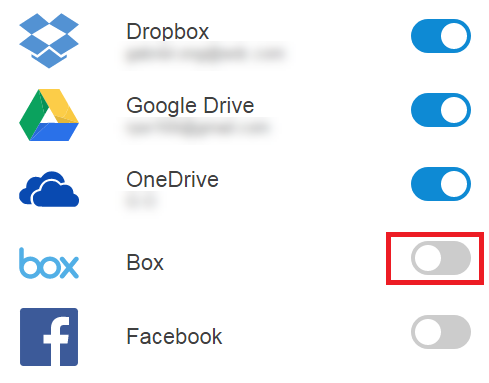 On this page click on the slider next to Dropbox. 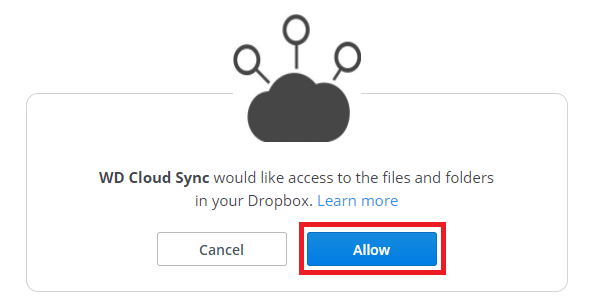 This will open the Dropbox sync page. 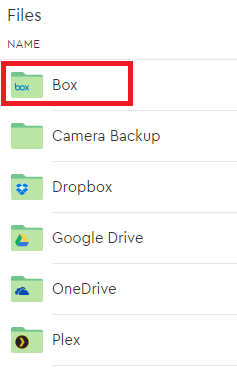 Sign in to Dropbox through either your Google or Dropbox account. 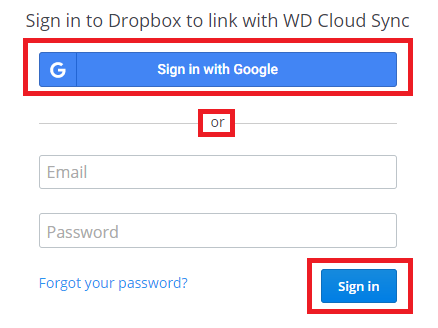 If you don't have a Google account, enter your Dropbox information and click "Sign in". A Sync Enabled popup will open. Click Close. 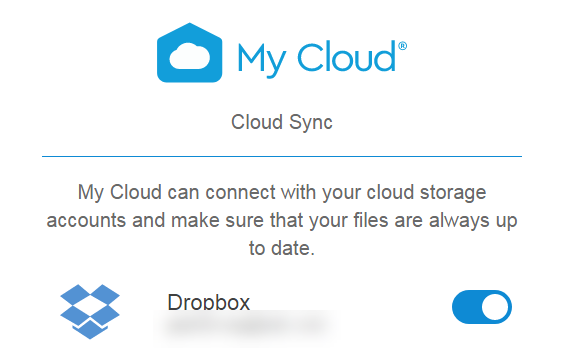 Your Dropbox account is now synced to your My Cloud Home! 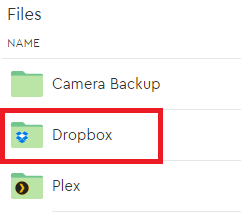 A newly-created Dropbox folder will appear in your Files tab. The Cloud Sync page will open. 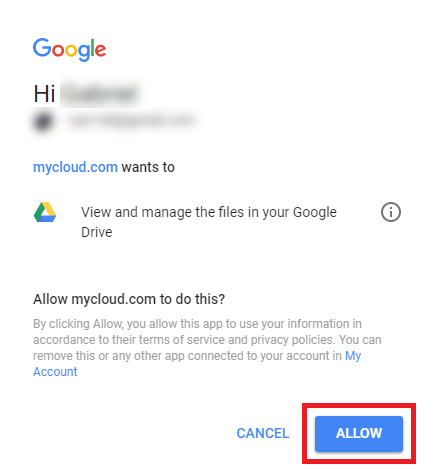 On this page click on the slider next to Google Drive. 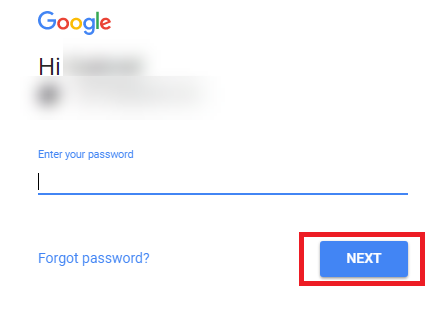 This will open the Google sign in page. 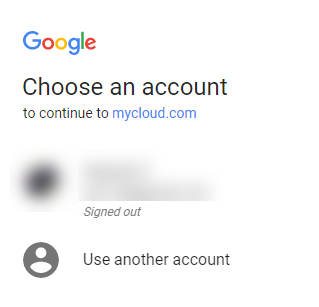 Click on the Google account you wish to use or sign in with a new account. 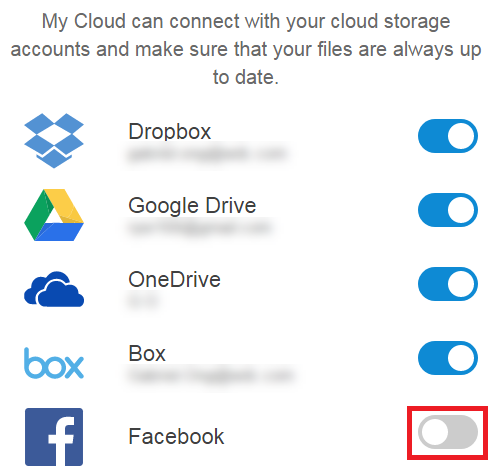 MyCloud.com will erquest to view and manage your Google Drive files. Click Allow to proceed. 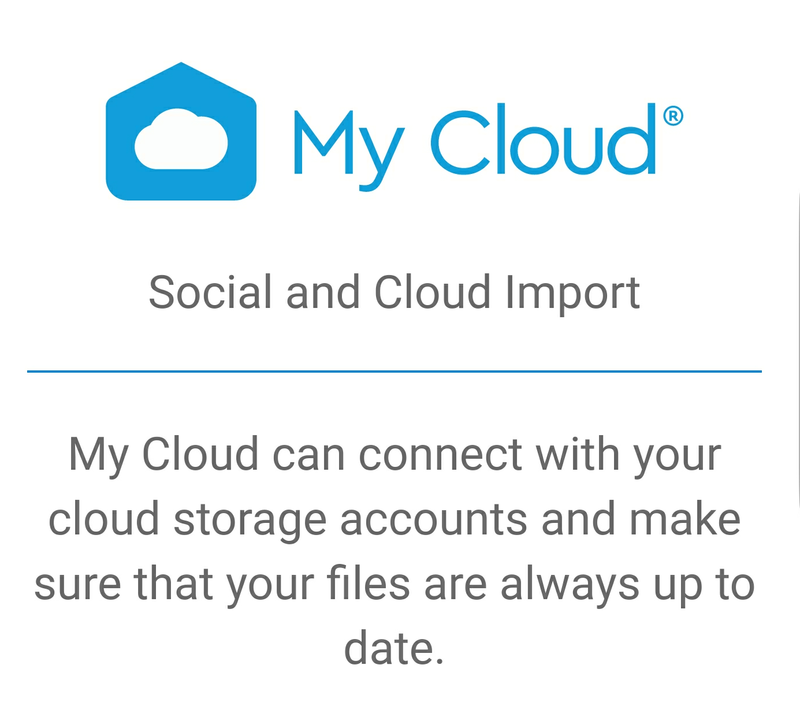 Your Google account is now synced to your My Cloud Home! 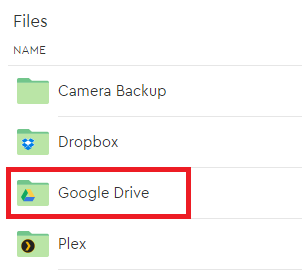 A newly-created Google Drive folder will appear in your Files tab. The Cloud Sync page will open. 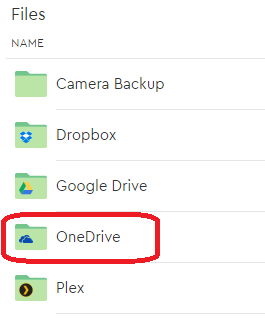 On this page click on the slider next to OneDrive. 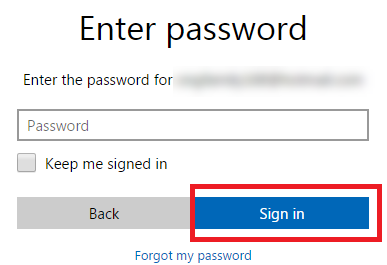 Your Microsoft account is now synced to your My Cloud Home! 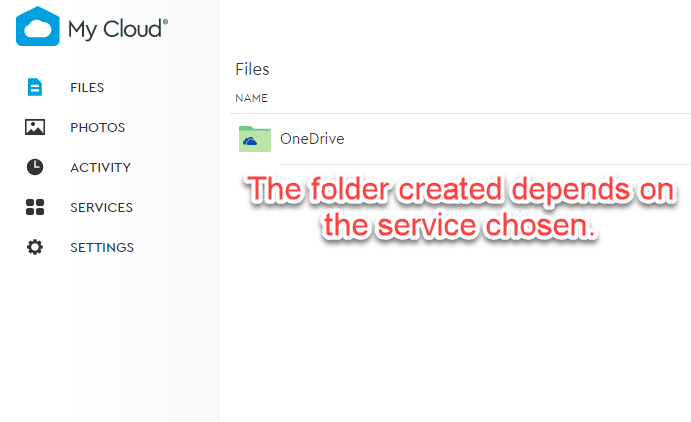 A newly-created OneDrive folder will appear in your Files tab. 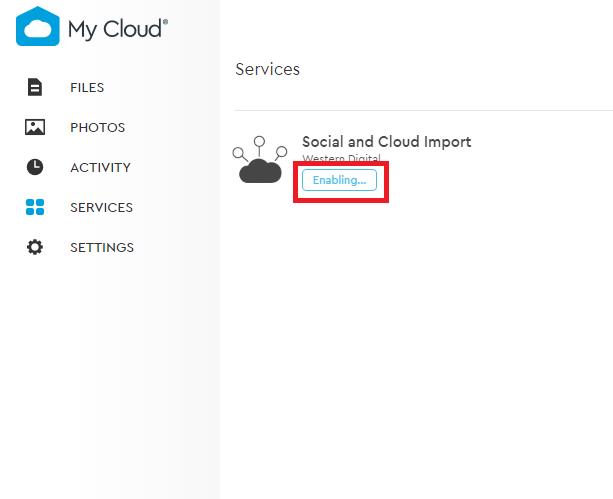 My Cloud Home Social Media and Cloud Import uses single sign on. 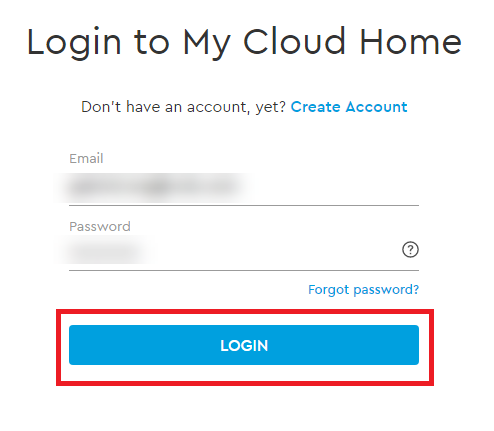 Follow the steps below to change or switch cloud service or social media login accounts. The Cloud Sync page will open. 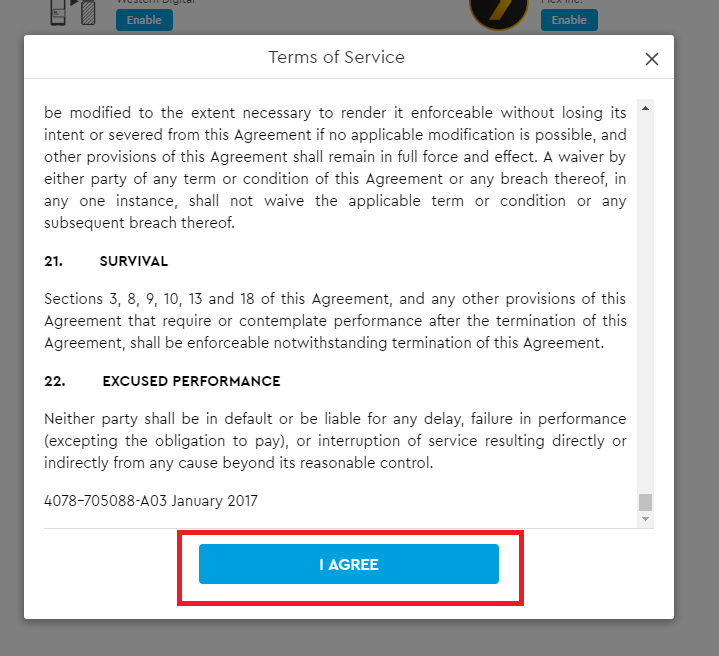 On this page click on the slider next to Box. The Box login page will open. 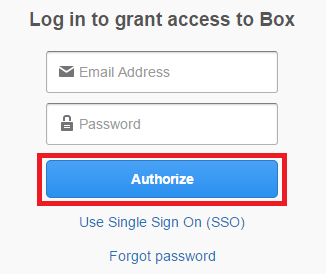 Enter your Box credentials then click Authorize. 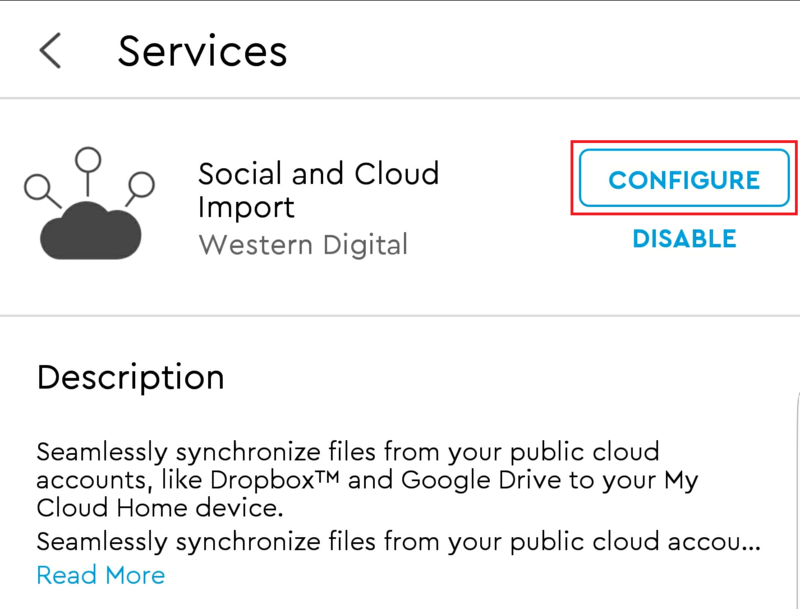 To sync your files, My Cloud Home requires certian permission. 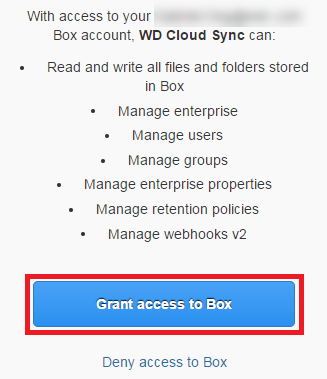 If you agree with these permissions, click "Grant access to Box". 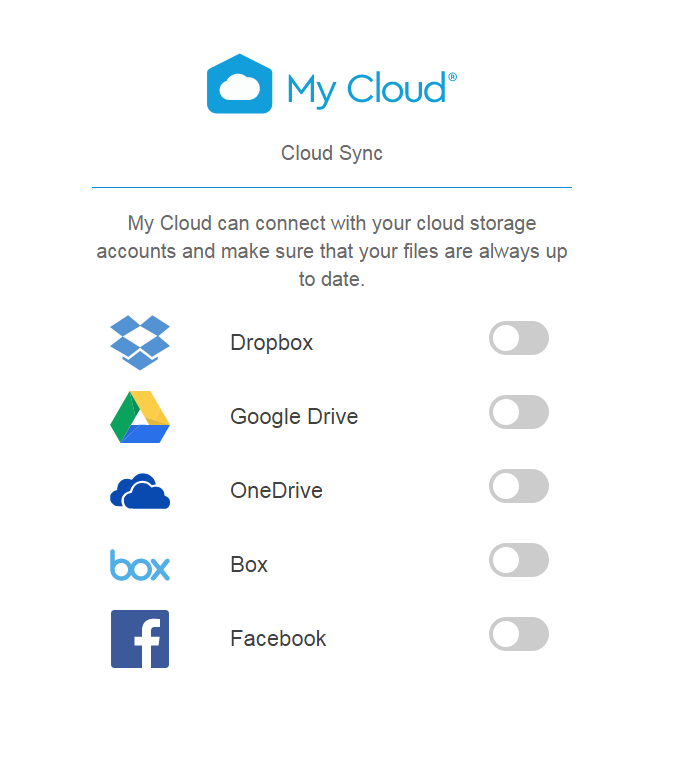 Your Box account is now synced to your My Cloud Home! 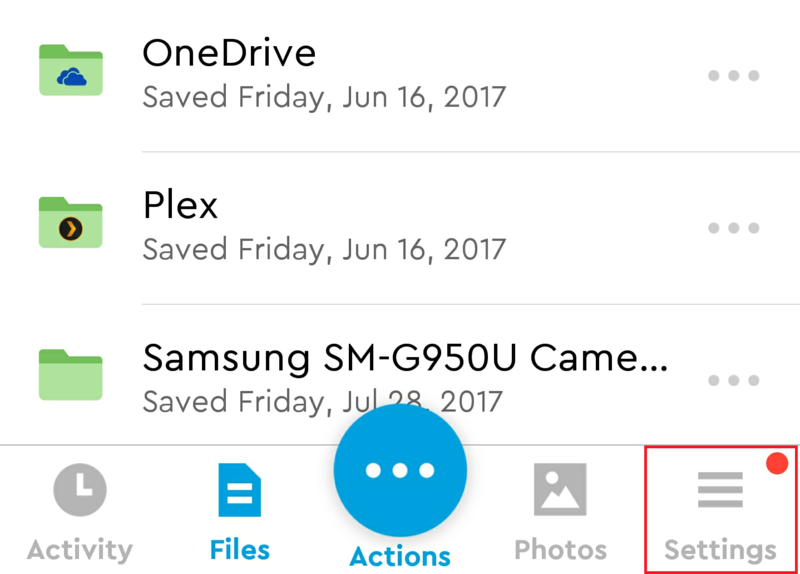 A newly-created Box folder will appear in your Files tab. The Cloud Sync page will open. On this page click on the slider next to Facebook. The Facebook login page will open. 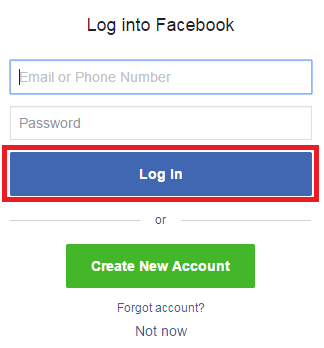 Enter your Facebook credentials then click Log In. 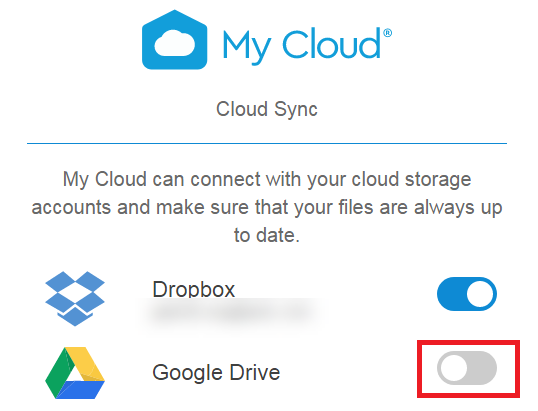 To sync your files, My Cloud Home will require some personal information. 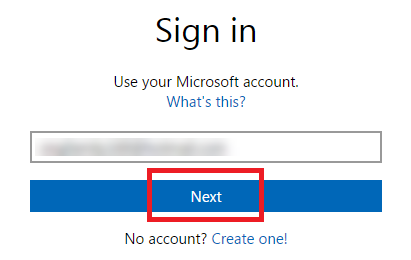 If you agree with this access, click "Continue as (Your name)". 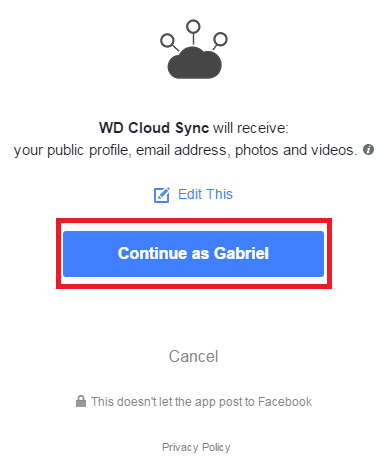 Your Facebook account is now synced to your My Cloud Home! 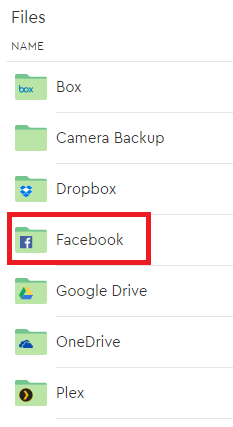 A newly-created Facebook folder will appear in your Files tab. 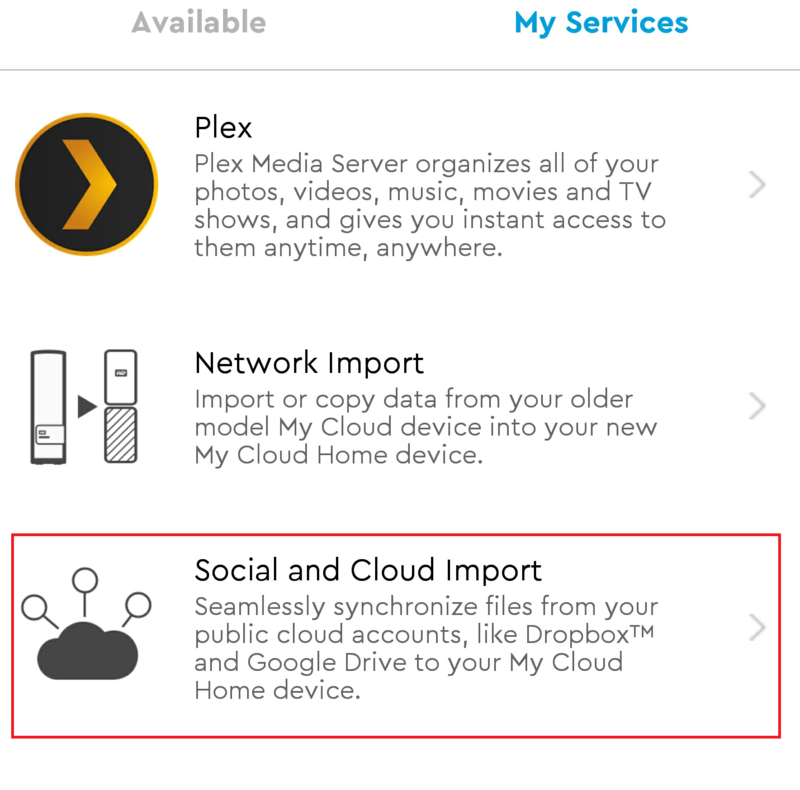 Open the My Cloud Home Mobile App on your mobile device. 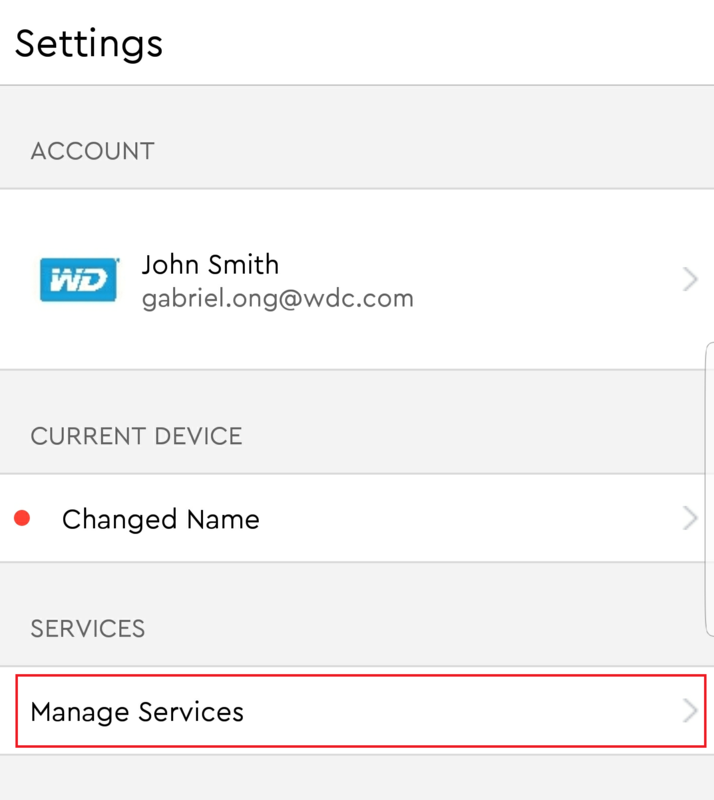 Tap on Manage Services under the SERVICES section. 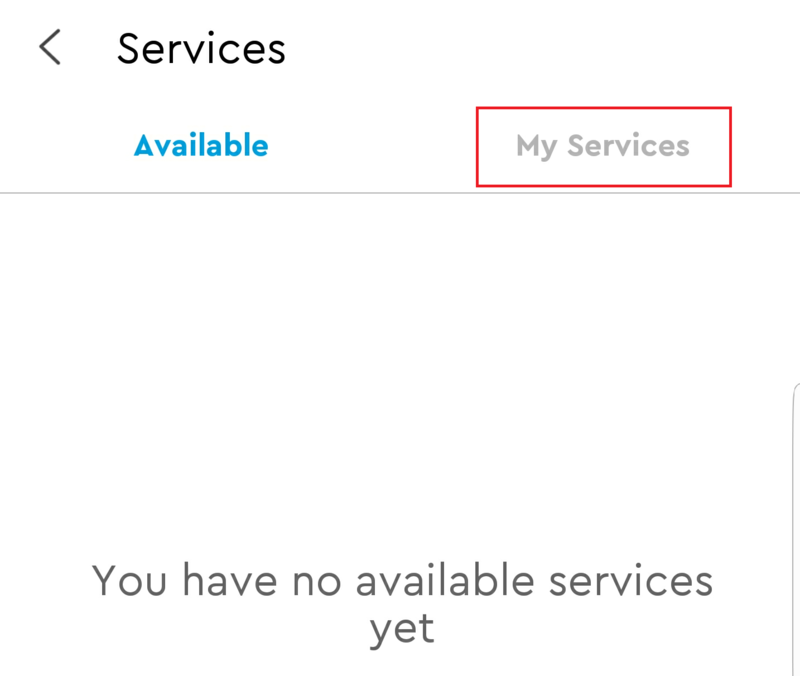 If the Social and Cloud Import service is not under the Available tab, tap on My Services. 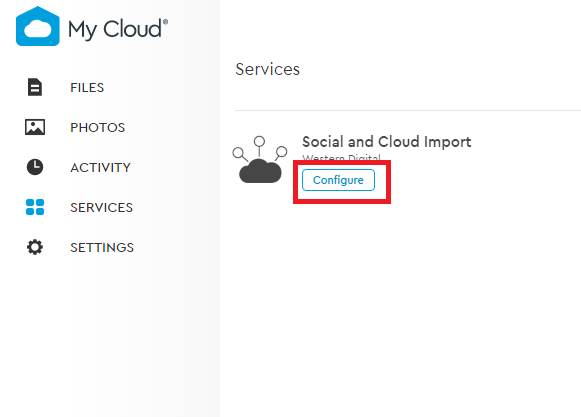 Open the Social and Cloud Import service. Tap on the Configure button. 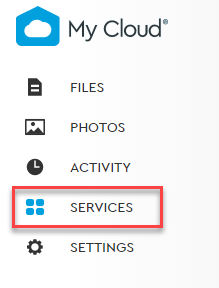 This will open the MyCloud.com Web App on your mobile device. 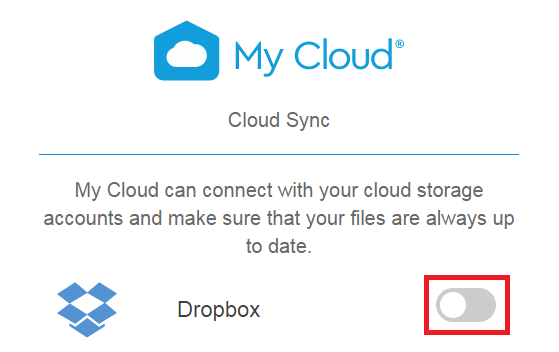 For more instructions, follow the instructions for using the MyCloud.com Web App. All further steps through the mobile app will be identical to the web app. An Import failed message can occur when importing large amounts of data and the access token (Login Session) expires. The access token expiry times are set and controlled by the Cloud and Social Media application provider. These settings cannot be controlled or changed by the end user or WD Technical Support. Start a new Import if the process failed due to the access token expiring. The new import will only download files that were not previously imported. It should take 1 hour to sync down 1 GB of content.